One of the most argued topics of grammar is the use of the serial, or Oxford, comma. 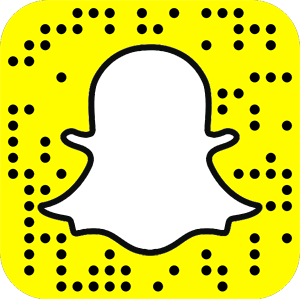 When to use it: sometimes, always, or never? I’m in the sometimes, leaning towards always, group. While it’s not always necessary to have a comma before the final conjunction (often and) of a series, it should be used when the alternative would create some ambiguity. I am celebrating my birthday with my parents, Thomas and Samantha. 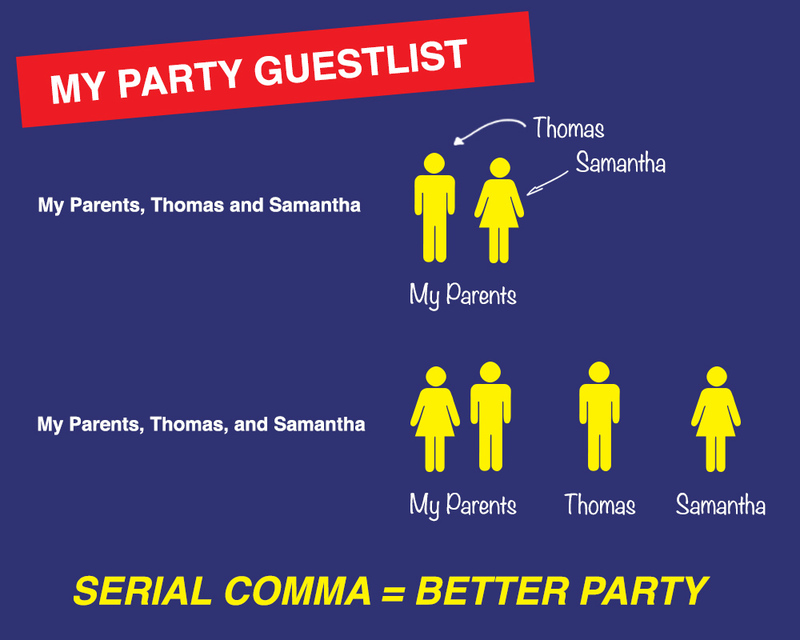 In this example, you’ve invited two people to the party, Thomas and Samantha, who are your parents. Let’s look at the same sentence, but this time use the serial comma. I am celebrating my birthday with my parents, Thomas, and Samantha. Instead of telling the reader the names of your parents, you listed two more people whom you’re inviting to the party. Use of the serial comma in this example depends on what you intended to say (and whom you’re actually inviting to the party.) The serial comma is necessary when omitting it may create ambiguity as to whether the elements surrounding the final conjunction are elements of the series or additional information about the preceding element. While some have argued that when presenting a series and not using the serial comma, ambiguity will always be present as to whether the final two elements are additional elements of the series or presenting additional information about the first element; however, I feel that this is dependent on the elements themselves and content of the sentence. My dog likes to eat beef, pork and rabbit. There isn’t a serial comma necessary after pork because you know that pork and rabbit aren’t describing beef, nor is the dog interested in eating beef and a combination of pork and rabbit; he likes the three options individually. If you wanted to say that the dog actually does enjoy the combination of pork and rabbit, then the sentence would have to be written as, “My dog likes to eat beef and pork and rabbit.” This sentence actually presents a series of two elements (beef and the combination of pork+rabbit,) so there aren’t any commas necessary at all. If you added another element to this series, the serial comma still wouldn’t be necessary because you have a conjunction before presenting the pork+rabbit combination. Both “My dog likes to eat beef, chicken and pork and rabbit” and “My dog likes to eat beef, chicken, pork and rabbit” correctly omit the serial comma. I admit, seeing “and” twice so close together in the same sentence might read a little weird; however, it is grammatically correct and unambiguous. Under no circumstances would this sentence require the use of the serial comma. The only time it would be used would be due to the personal preference of the writer or editor. My dog likes to eat white meat, pork and chicken. In this example, pork and chicken could be used as examples of the white meat that the dog enjoys. Unless that was your intention, a serial comma should be placed after pork so that the reader will know that you’re actually presenting a series and not describing the white meat. In the the most recent examples, the content of the sentence determined whether a serial comma was required. To avoid ambiguity, sometimes a serial comma is necessary. When in doubt, just remember that your writing should clearly communicate your desired meaning. If you’re presenting a series and not sure if it’s clear, use the serial comma. Unless you are certain that the sentence won’t be ambiguous without the serial comma, use it. Most authorities on the subject suggest you should err on the side of caution and always use the serial comma when presenting a series. You can’t really be faulted for using it when it wasn’t truly necessary; however, you can cause some clarity issues if you omit it when it was actually required. TLDR; Always use the serial (Oxford) comma unless you’re 110% certain that it’s not necessary. What are your thoughts on the use of the serial (Oxford) comma? Either a writer doesn’t want to talk about his work, or he talks about it more than you want.